Last week I attended a fundraiser at Jeff's boyhood home. This is probably indefensibly tasteless, but I'll go ahead and defend it nonetheless. 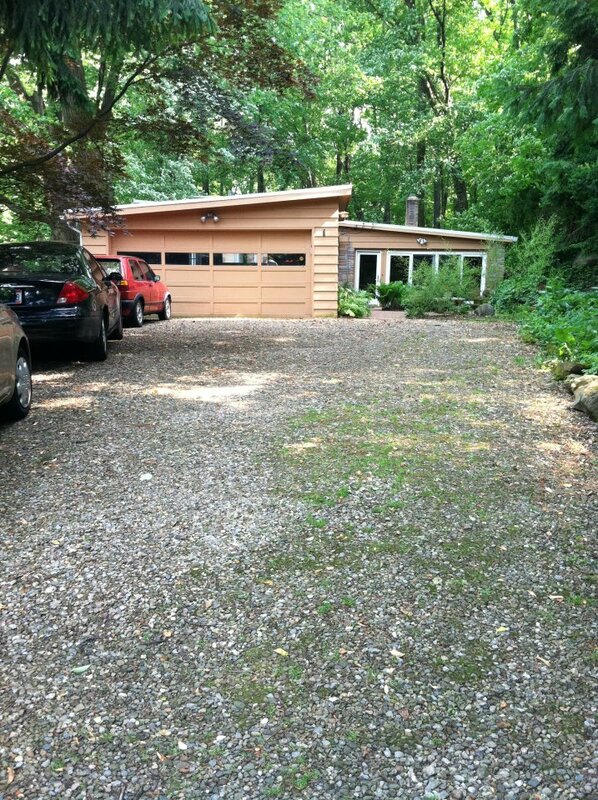 As I've mentioned before, a friend of mine bought the Dahmer house back in 2007, the one I depict in MFD and where Jeff killed his first victim. 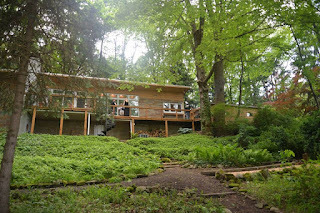 This was an incredible stroke of luck for me as a writer, as it gave me access to the house. I hadn't set foot in this place since high school, at that point 30 years earlier. So I was able to sketch out the interior space and views out the windows and research this major setting in the story, none of which would have been possible otherwise. The guy who bought the house is a rock star. Chris Butler is his name and he best known as the founder and songwriter of the seminal Eighties punky band, The Waitresses. I've gotten to know him over the past decade or so and done some work for his other band, the artpunk outfit from the same era, Tin Huey. So I've visited this house many times, for reasons other than My Friend Dahmer. It's always a little bit weird, to be perfectly frank. Back to the fundraiser. The Cleveland area is blessed with some of the best college radio in the country. In fact, college radio was pioneered here as much as it was anywhere. One of the long-dominant stations is WRUW, owned and operated by Case Western Reserve University in Cleveland. Case is a brainiac school, particularly for sciences like genetic eyeball design and other things I have no hope of even remotely comprehending. It's also affiliated with nearby music and art institutes in a vibrant area of town known as University Circle, so it enjoys an extremely high hipster factor. Thus, WRUW has always been on the front edge of underground music. This doesn't matter as much as it once did, thanks to the intertube, but from 1980 to 2000, college radio was a vital cog in the music world, especially as commercial radio became ever more corporate. I can't even imagine how much college radio I've listened to over the years. It's on (still) all day long while I work in my studio. Anyone who has read my previous book, Punk Rock & Trailer Parks, knows how important music is to me. So because WRUW is commercial free it relies totally on university support and listener donations to keep going. Several times a year, WRUW has fund drives. One of my favorite shows is Erie Effusion, a retro Eighties show that I often listen to on Sunday evenings while working in my studio. 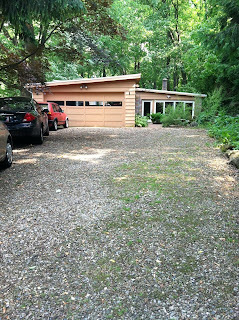 DJ Bridget, who knows both me and Butler, arranged for a visit to the Dahmer house for the top donors to her program. I agreed to make an appearance and talk about the book. It's a worthy cause and one near and dear to me. That was my rationale and I offer no apologies. Now this is great, creepy fun for the winners. I get that. But, of course, a young man was also brutally killed and butchered here, and I get that, too. I was respectful during my talk. I don't make Dahmer jokes, not anywhere, but especially not here. The murder of Steven Hicks in this house, Jeff's first victim, haunts me. Mainly because I was so close to it. It happened just two weeks after our high school graduation, and I was still in town, and often in Jeff's neighborhood, hanging out with other friends. It was also so random. This wasn't like Jeff's other murders, which were carefully plotted. This one just happened. It could have been anyone. It could have been me. 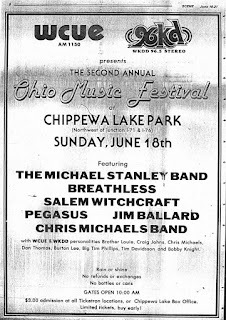 Hicks, age 19, was thumbing his way home from a daytime rock concert at Chippewa Lake Park, an old (and shortly to close) amusement park in the middle of Amish country in rural Medina County, due west of Akron. Hicks attended a kick-off-the-summer concert with some popular local bands. 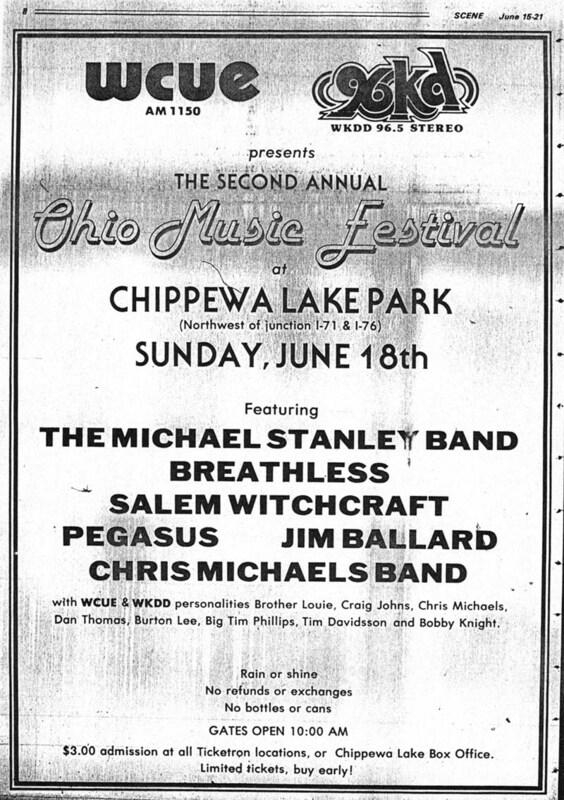 It’s about fifteen miles as the crow flies from Chippewa Lake to Coventry, the Akron suburb where Hicks lived with his parents, through what was then farmland, but the most likely route on well-trafficked roads would be more like thirty miles. Hicks was trying to get a ride to his house due south of downtown Akron and got as far as the Summit Mall on Akron's western border. This was a frequent cruising strip for Revere HIgh School kids like me, with the mall, several theaters, pizza joints, and a drive-in restaurant that was Revere’s unofficial hangout. Dahmer was driving around out of boredom, passed Hicks, then, on a whim, stopped and picked him up. Hicks was a typical Seventies stoner. By all accounts he was affable and well-liked. He wasn't a troubled kid, he just liked to party and hang out and listen to rock music. I knew 50 kids just like him. Dahmer lured him back to his house with an offer of pot. Steven never made it home. At the gathering, I was talking to Butler about ghosts. It's widely believed in my hometown that the Dahmer house is haunted. Frequently, carloads of teenagers pull into the driveway and then quickly back out. I'm not a spooky type and don't believe in ghosts, but if there were a phantasm at this house, it isn't Jeff. After all, he wasn't killed here, he was murdered in Wisconsin prison. The only ghost that would be lingering around the Dahmer house would be Steven Hicks. So if Hicks is there, he's probably a pretty happy ghost, because Butler has filled that house with music., and Steven dug music. Butler had frequent jams with fellow musicians, and the rec room, where Jeff initially attacked Hicks, was full of guitars and musical equipment. Whatever bad karma was there has been driven away with music, or so I believe. Isn't that what music does? I'm covering a lot of ground with this explanation, and maybe it doesn't make any sense at all, but I felt I should make my case. Some will bash me for it, as they bash me for making My Friend Dahmer. So be it. 30% Off on Derf Books!